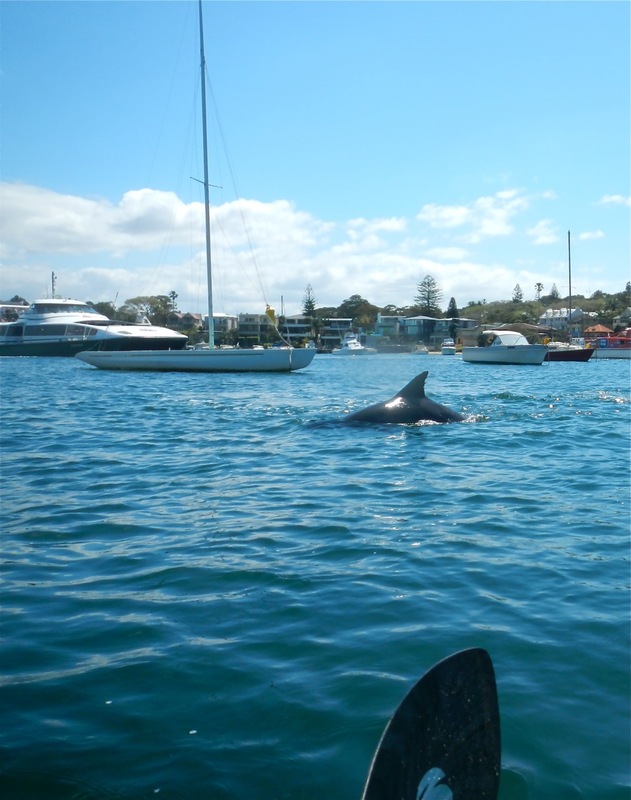 The Balanced Boater: Dolphins Dolphins Everywhere! Every day this week, I have been joined by pods of large dolphins within minutes of launching. They rise without warning, parallel our course with playful precision, arc smoothly through the water surface and then disappear without a trace, but long after they leave us behind, the smiles and high spirits remain. Either I am very lucky or there are a lot of dolphins along the coast right now. 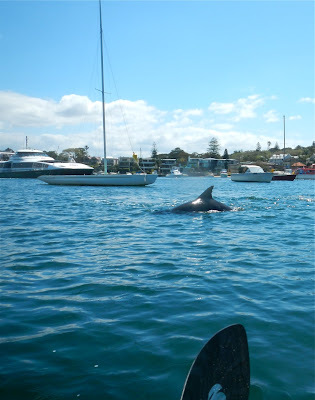 Watsons Bay, Sydney Cliffs and Cronulla Beach have all hosted these wonderful encounters.